Three Handy Tools in one! 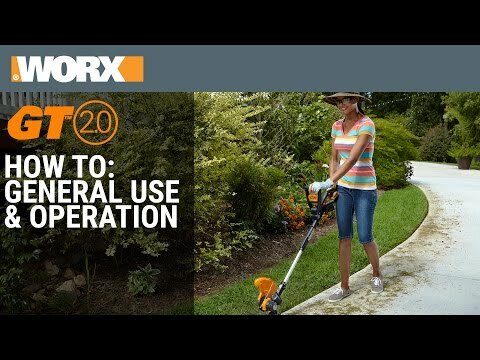 Each 20V MaxLithium Battery will provide enough working time per charge to trim around the average 1/4 acre yard. Actual results may vary depending on the density of the grass or weeds you’re cutting or the age of the battery pack. We include a second battery pack so you’ll never be out of power. The 20V MaxLithium battery included has an amp hour rating of 2.0 vs our previous models 1.3 amp hour rating. The amp hour rating measures how much energy can be stored in the battery (energy capacity). The GT 2.0 can hold almost twice the amount of energy as previous models. WORX has achieved this higher battery capacity due to advanced battery chemistry without making the battery larger than before. It takes 3 hours to fully charge the battery with the included charger. 20V 12" GT 2.0 String Trimmer / Edger / Mini-Mower is rated 4.5 out of 5 by 5936. Rated 5 out of 5 by Amanda29 from Handy features!! This is actually the second one I bought I absolutely love it my other one would have still worked I had it for three years but we kind a ran over it so I had to get another one! !love love love it!! We have a lawn service and it stays charged and our customers love the way it edges there yards! Rated 5 out of 5 by Naxos from Terrific product I've owned this trimmer for three years, it does the job well. Rated 5 out of 5 by 1234 chris from Great Product This is my third one over the years and they have lasted a long time, usually over the years the battery's don't charge fully anymore and it's cheaper to buy a new String Trimmer instead of two new battery's of old one. Rated 5 out of 5 by Anonymous from No more gas and oil mess. 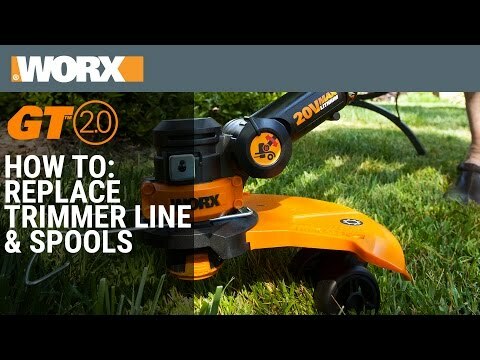 I have had a worx trimmer for years. 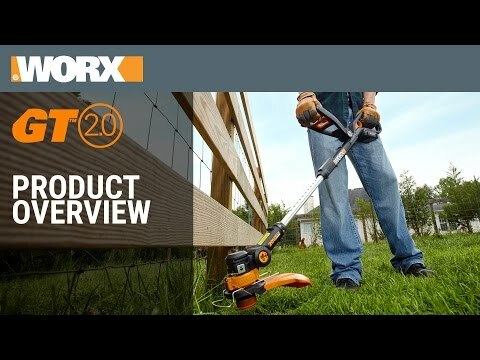 It didn’t wear out still use it but I purchased a new 2.0 because I love the worx trimmers. I will never have another trimmer. They last for a long time. I use both. Purchased my sons trimmers also.